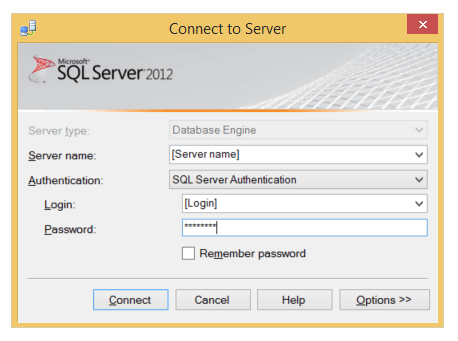 Click Connectand you will be connected to the SQL server. Click the plus (+) sign next to Databases to expand the view, and then click the plus (+) sign next to your username to view the objects in your account. For more information about Microsoft SQL Server Management Studio, please visit https://msdn.microsoft.com/en-us/library/hh213248.aspx.